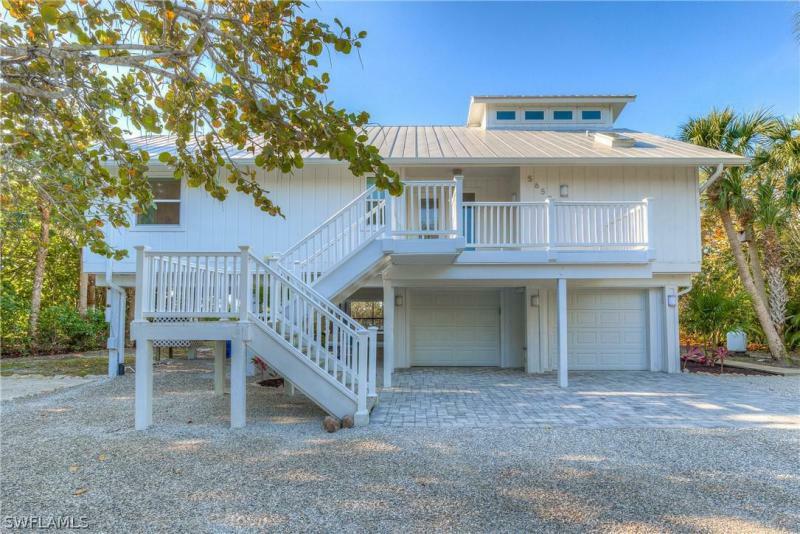 This spacious and stunning home is so close to the beach you can hear the waves and even see the gulf waters. Located in the beautiful and quaint community of sea oats, this home is literally steps to the beach access. Enjoy a spacious and well-designed floor plan featuring 4 bedrooms, 4 bathrooms & over 3,500 square feet under air. The beautiful living room has soaring two story ceilings, fireplace & wet bar with a wine cooler. The chef's kitchen is ideal for entertaining or for people who love to cook, offering stainless steel appliances, an eat-in island, walk-in pantry, a breakfast nook beautifully framed by bay windows offering natural light & a palette of tropical colors. The top floor features another comfortable gathering area/loft with a fireplace & built-in desk area. It doesn't end there. This home also features large lanais, a private pool in the backyard & a rooftop sundeck with views of the gulf of mexico. 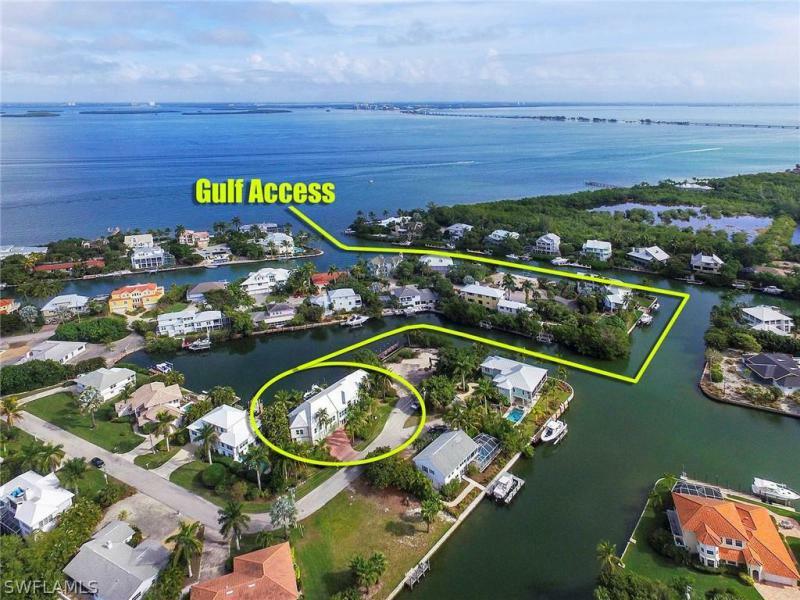 This is a great opportunity to realize your sanibel dream. 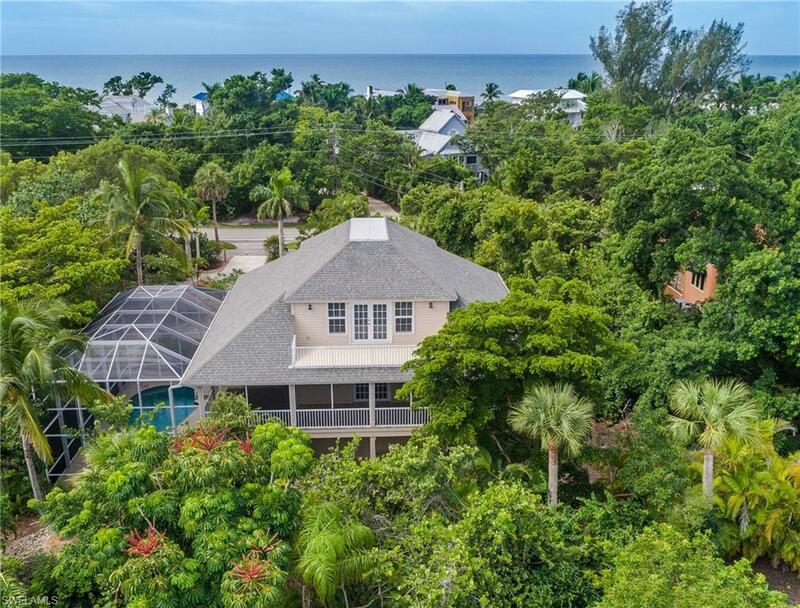 Located directly across from the gulf of mexico, you can hear the waves from this olde florida style home that fronts prestigious west gulf drive and is accessed on hurricane lane. 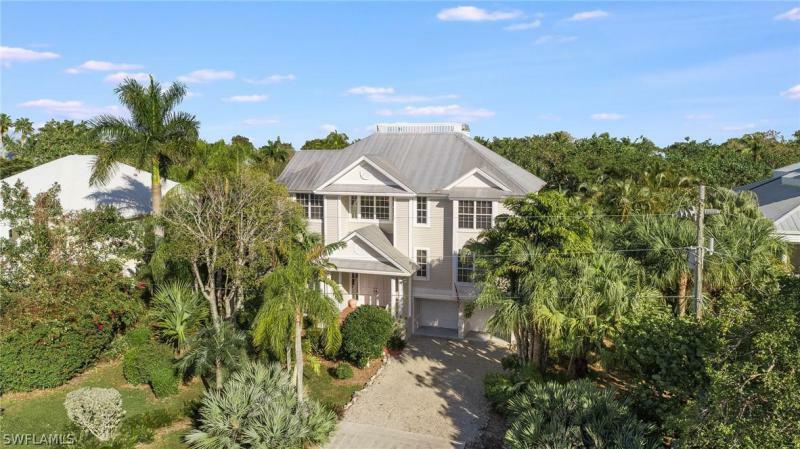 Rare four level home (3,060 sf under air) with an updated kitchen, large living/dining areas, screened lanai, large master with separate living area and generous bathroom,. Two guest bedrooms, deck off living area and top floor loft with a peak of the gulf. Enclosed lower level, laundry room, private setting and steps to deeded beach access. Fantastic location and priced to sell. Offered mostly furnished. Location! Location! An impressive golf course view welcomes you to this well kept 4 bedroom 3. 5 bath two story home. The spacious open living area features cathedral ceiling, wood burning fireplace, wet bar w/ wine cooler and ice maker. Dining room with retractable sliding glass doors opens to the screened lanai & the fairway & lake views beyond. East facing kitchen with lots of natural light boasts a granite counter tops, wolf gas range, stainless steel appliances & a pass through window to the screened lanai. Upstairs master suite with loft has his/her walk-in closets, spa-like bathroom with separate tub & shower, double sinks and vanity. The three downstairs bedrooms are connected by a large hallway & embody a fun tropical atmosphere. The heated pool/spa & deck area is surrounded by tropical plants bursting with color. Combined with the lake view & morning sunrise it is easy to feel like you are in your own peaceful oasis. This home is move in ready & the ideal place to make memories. The dunes golf and tennis club offers a semi-private golf course, driving range and golf shop, pool, tennis, clubhouse and award winning restaurant.